PhotoRejuvenation is a series of Intense Pulsed Light (IPL) treatments that improve the appearance of Rosacea, flushing and sun-damaged skin, age spots, skin texture and photo aging. Treatment also improves the appearance of mild acne scars, reduces large pores, corrects dark circles around the eyes, and reduces fine lines. Additionally, this exhilarating treatment involves little to no 'down time'. An intense light is applied as a series of gentle pulses to the treatment area. Without damaging the skin, the light penetrates the skin and is absorbed by the abnormally dilated vessels or pigmentation. Heat then impairs the targets vessels or lesions and the body begins a natural healing process. Lesions darken before they flake off or are absorbed by the body. Treatment can take place as frequently as every three weeks. For optimal results, a series of five treatments are recommended. Some patients see significant improvement with two to three treatments while others might require more. Follow-up treatments may be needed once a year to maintain desired results. We have many ways to minimize the appearance of wrinkles. 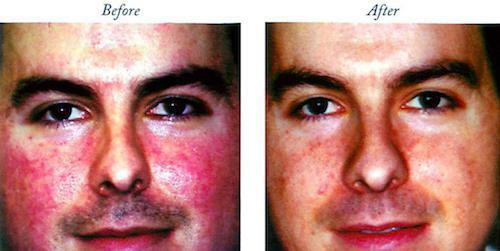 PhotoRejuvenation is a series of Intense Pulsed Light (IPL) treatments that improve the appearance of Rosacea, flushing and sun-damaged skin, age spots, skin texture and photo aging. Treatment also improves the appearance of mild acne scars, reduces large pores, corrects dark circles around the eyes, and reduces fine lines. IPL (Intense Pulsed Light) treatment for unwanted hair is a non-invasive approach to permanent reduction and long-term hair removal. Treatment is specifically designed to eliminate undesired hair from all parts of the body. Unlike many other treatment methods, IPL leaves your skin looking and feeling smoother and softer. IPL treatment for unwanted hair is a non-invansive approach to permanent reduction and long-term hair removal. Treatment is specifically designed to eliminate undesired hair from all parts of the body. Unlike many other treatment methods, IPL leaves your skin looking and feeling smoother and softer. Preliminary setup requires cleansing and shaving of the area to be treated. The IPL therapy produces a beam of highly concentrated light. Without damaging the surrounding tissue, controlled pulses of light penetrate the skin and are absorbed by the hair follicles. The heat discourages and ultimately destroys the potential for regrowth. Post-treatment procedures include cleansing of the treated area and application of sunblock. Large areas such as backs, shoulders, abdomens, and legs can be treated rapidly. 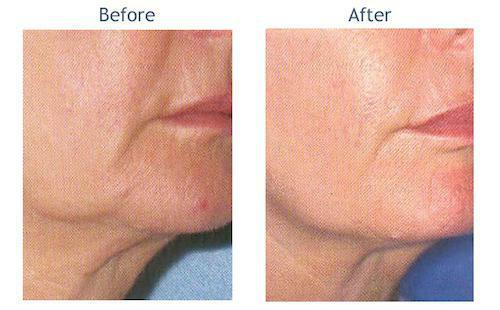 Facial areas such as the lip, chin, and beard can be treated in minutes. This procedure is tolerated well by most patients, as the laser functions so quickly that only a mild sting is felt. Local anesthesia or pain medication is not required, but a topical anesthetic is an option for more sensitive areas. Spider veins are small dilated blood vessels near the surface of the skin. They can develop anywhere on the body, but are commonly seen on the face and the legs. For more information on how we can minimize and remove spider veins or to schedule an appointment, please contact our office.